Great scene with a clubby yet unpretentious atmosphere. Try and score a table in the back room and take advantage of the people watching around you (I ate next to Steve Nash last time I was there). 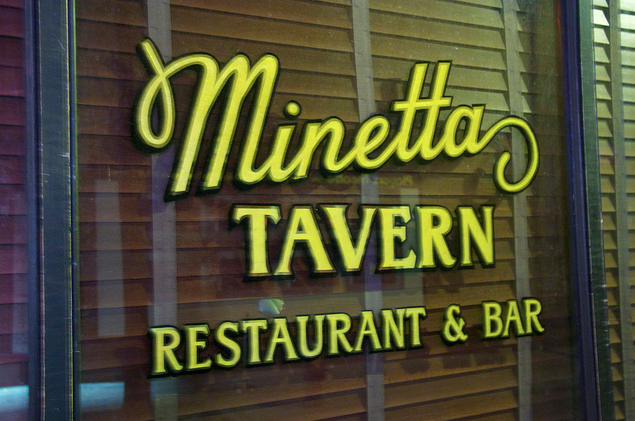 A great place to go with a group of friends or a date. Either way, be sure to get the Cote de Boeuf (sliced steak for 2). If you are or not (yet) a bone marrow fan, this place will turn you into one. It is served with toast, sea salt and raspberry jam. It is delicious. 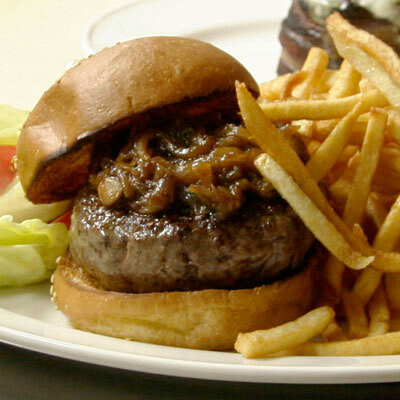 Make sure you save room for the The Black Label Burger, despite its $27 price tag it is truly a must have! The bartenders also mix some of the best (and strongest) cocktails of any restaurant I have been to. Alexi and I showed up around 8 last week with no reservation…not a big deal at all. Waited for about 40 minutes and was able to sit right at the bar. This place always knows how do it right. The crowd is always lively and awesome for people watching. (I’ve eaten next to Steve Nash and Richard Gere) The marrow, which slides out like a melted butter off the bone, was aplenty with toast and jam. Alexi (after 2 years) finally got his shot at the Black Label Burger and could not stop talking about it for 2 days. My monkfish special came with some killer local potatoes and vegetables. Between the food and the 3 strong gin and tonics I downed we walked out much happier and fatter.